Mitt Romney could still announce his running mate over the next few days, although at this point it seems unlikely that he will. What has seemingly been banned definitively is Romney's holding off this week while still announcing before August 13th. 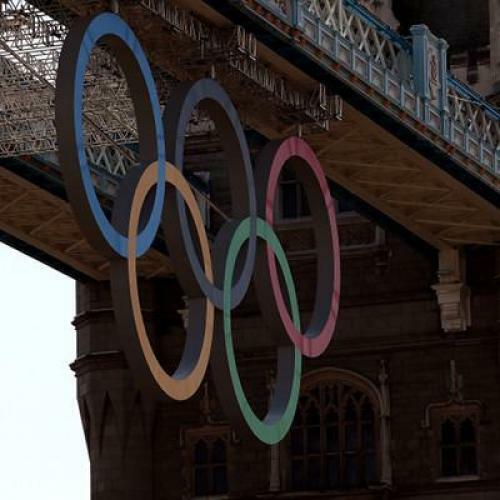 After all, one thing is agreed upon: watch out for the Olympics! “Romney’s second window opens around Aug. 12, when the media dominance of the Olympics ends, children in many parts of the country head back to school, and the Republican Party gears up for its national nominating convention,” reported Romney’s hometown Boston Globe after explaining that by no means can he report it during the London Olympics (a period during which he will be out of the country only some of the time). “Should Romney announce his pick this week to stir up some much-needed positive news coverage before the London Olympic Games and beach vacations consume the attention of voters?” asked CNN last week. This is actually an old theme. “Two national conventions, the Beijing Olympics, and Obama's Aug. 4 birthday all help or hinder the timing,” noted one report four years ago. (“it appears that Obama, with a convention closer to the games, faces the harder choice.”) A second article disclosed, “Sen. John McCain is weighing whether to announce his running mate in the coming weeks before the spotlight shifts to China and the opening of the Olympic Games next month.” A 2004 report on the veepstakes notes that only after “vacations and the Olympics have vied for the attentions of voters” could the John Kerry campaign get down to business. 1996? “Even as Clinton and Dole try to sustain drama, the public will be distracted by the Olympics in July—and that may be to the candidates' advantage, giving the media something fresh to feed on. While the candidates may try to piggyback onto the Olympics by making appearances in Atlanta, that approach has risks.” Only the weirdly late September 15 start of the 2000 Sydney Games spared the candidates this obstacle. The media’s perennial—make that quadrennial—focus on the insurmountable media-coverage dark matter that is the Summer Olympics seems pretty lazy. Yes, they do good ratings; yes, candidates run ads during coverage—President Obama has already made a buy. But people follow sports, watch television, and pay attention to things besides politics when the Olympics aren’t on, too. You’d also think we would be used to this by now: this is not exactly the first presidential campaign to coincide with the Summer Olympics. In fact since the beginning of the modern Olympics in 1896 (and minus the years where there were no Olympics during the world wars), they all have. Later on, we’ll tackle how presidential campaigns should deal with such problems as summer heat, Labor Day, an election that takes place during a weekday, and the particularly tricky quandary of trying to persuade voters to choose you during a leap year. In the meantime, circle August 13 on your calendars. It’s a Monday, and the closing ceremonies are the night of the 12th.